WIPs & 'Woodland Knits' Review! Regular readers will already know that Stephanie Dosen is top of my 'knitting heroines' list. I first discovered Stephanie via the Beekeeper's Quilt video (over two years ago!) and love her knitting and her music. Her whimsical style totally appeals to me - in reality I might be a mum-of-two-rapidly-approaching-40, but in my mind at least, I am sufficiently young and beautiful to skip through the woods dressed as a faery - her designs completely encapsulate this. I can't tell you how happy I was to receive a review copy of Stephanie's brand new book through the post! As you might expect, there are lots of flowers, vines, woodland creatures (butterflies, bears, foxes etc) and a whole heap of inspiration. The pictures are just beautiful and with an RRP of £14.99 it costs about the same as buying just 3 individual patterns online! 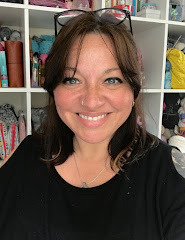 * I can't tell you which are my favourites because there are so many that I LOVE - as soon as this blog post is finished, I'll be looking through my stash to see what I can cast on. 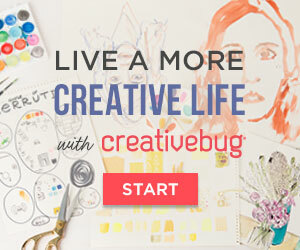 If you like Stephanie's style then I'd say this is a 'must have' for your craft library. 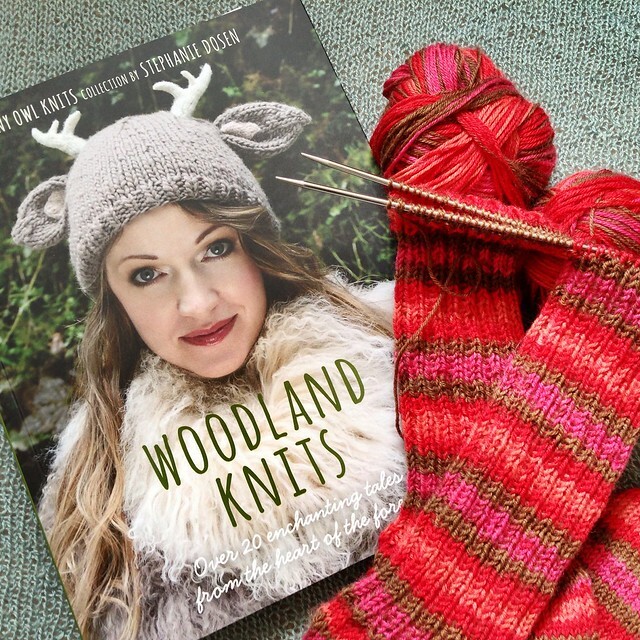 *Woodland Knits is available to order now from Amazon.co.uk and Amazon.com for considerably less than the RRP. You can find Stephanie's individual patterns on her website and on Ravelry at around $5.50 per pattern. I love the colour of your socks, i think i might cast some on to take on holiday with me. Beautiful color way on your socks- so bright and cheery. Love your socks, yay for speedy knitting! Love the colorway of those socks! oh I love hand-knitted socks! they are the best :) I really like the yarn you're using. - isn't it exciting when you get so close to casting-off? 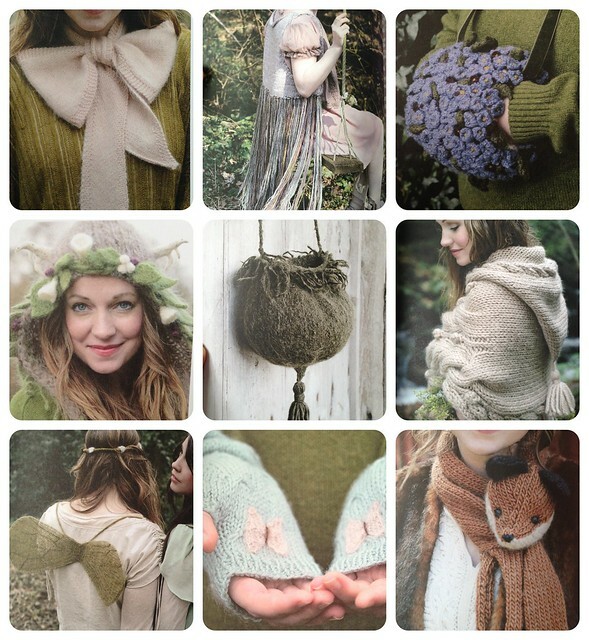 :) woodland knits look really interesting - what a lovely collection of patterns, I'll need to look it up. I enjoyed The Light Between Oceans, hope you enjoy it too. I enjoyed "The Light Between Oceans" a lot. Love the colour of your socks. I recieved the same book yesturday in the mail and the girls and I have been flipping through it ever since. What a wonderful book...I must get my hands on one...Amazon here I come to add to my want list, really my needs list. I got the beekeepers quilt pattern as well and fell in love with Stephanie and her style. Made a little beekeeper seat pad. Love the stripy colors. Fun sock color way. So happy happy. I'm glad Stephanie modeled her own creations. Those are beautifully styled and really unique knits! Thanks for reviewing this book! I love her patterns but have yet to try one. That bird's nest purse is crying out to me though!